Honeywell announced its Honeywell Connected Plant technology is helping drive more reliable and efficient operations at Deepak Phenolics Limited’s (DPL) phenol and cumene plant in Dahej, Gujarat, India. DPL is using Honeywell Connected Plant UniSim Operations to train process operators on safe, efficient and incident-free startups and operations. Honeywell deployed the operator training simulator (OTS) technology two months ahead of schedule. This was the first time the OTS system was developed on Honeywell UOP’s Q-Max cumene technology, which is based on highly selective, stable and regenerable catalysts. This latest generation of cumene technology provides higher yields, improved product quality and lower utility consumption, according to Honeywell. Interested in network solutions? So are we. 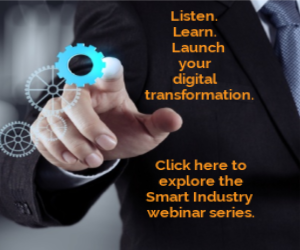 Click here to learn more about the 2018 Smart Industry Conference. For more information visit Honeywell Connected Plant UniSim Operations and Honeywell Connected Plant.